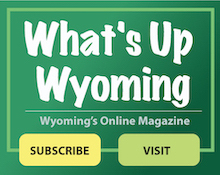 The Urban Forestry and Beautification Commission serves in an advisory capacity to Council regarding the enhancement of public properties and rights of way and other enhancements, beautification efforts, and revitalization efforts within the City of Wyoming. It establishes programs, approves regulations, plans, and promotes forestry and advises Council on Urban Forestry issues. The Board also acquires and administers green areas within the City. The Commission sponsors initiatives through the City that promote trees and educates residents about the importance of a healthy urban forest. Meeting minutes are posted once they are approved by the Commission.